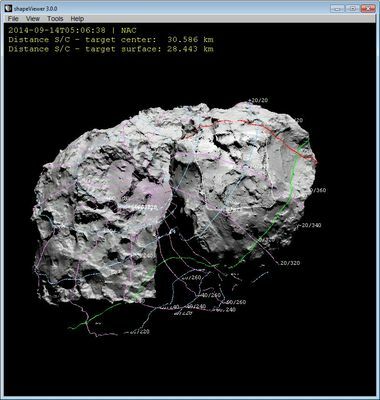 shapeViewer is a publicly available scientific software designed to display a 3D model of a comet/asteroid, simulate observations from a space mission, project data on the shape. It provides a series of tools specifically developed for mapping and geomorphological investigation. 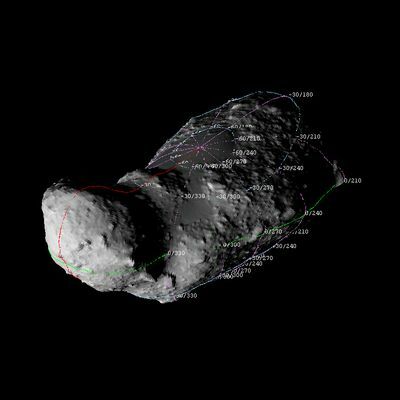 shapeViewer has been used for operations planning and scientific analysis by the Rosetta (ESA) and Dawn (NASA) missions since 2010. shapeViewer officially supports future missions to asteroids and comets (CAESAR, Lucy, Hayabusa 2). Visualizations can be exported as individual frames and assembled in a movie. Here, videos are played back at the same frame rate they run in shapeViewer itself. 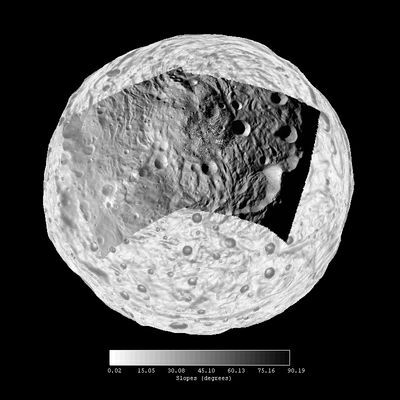 Image mosaic projected on asteroid Vesta. shapeViewer can be used to simulate images of any space mission for which SPICE kernels are available. Several mission packages are available by default, or can be downloaded here. To use a mission package, sinmply unzip the downloaded archive into the "missions" folder in your shapeViewer directory. You load the new mission by selecting the relevant XML file (e.g. "Rosetta_67P.xml") from shapeViewer's menu ("File/Load mission package..."). Each package contains everything needed for the given mission (shape models, kernels) and pre-congifures the software accordingly. Dedicated packages can be generated easily for other missions (i.e. OSIRIS-REX), contact me fore more information. shapeViewer is currently distributed for Windows systems only (see note below). It is provided as a single zip file. Extract it in the folder of your choice, and run the shapeViewer.exe executable file. A graphic card supporting at least OpenGL 2.0 is necessary (usually true if your computer was built after 2004). Note: shapeViewer is built with cross-platform libraries and can be compiled for other systems. I personally run a native shapeViewer on Ubuntu 16.04 but do not have the resources to package it and distribute reliably. Contact me if you absolutely need a native version, and we may work out a solution. Many users have reported using successfully the Windows executable on Mac OS and Linux systems through the WINE interface. shapeViewer is distributed with a user manual which can be consulted offline and within the software. The latest version is also available on this website. - "export" command renamed to "export3d"
To be notified of new releases, send an email to shapeviewer-subscribe[at]comet-toolbox.com. This research has made use of the scientific software shapeViewer (www.comet-toolbox.com). Since 2010, shapeViewer has been used in more than 20 papers and conference talks. Here is a list of selected peer-reviewed publications which benefited from the software. Birch et al. 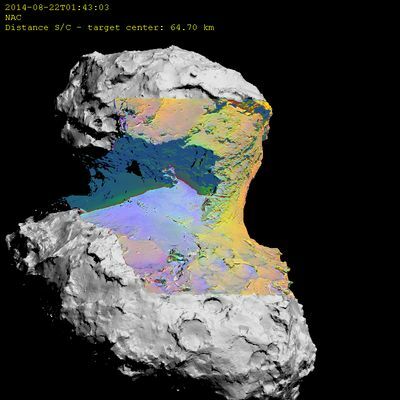 Geomorphology of comet 67P/Churyumov-Gerasimenko. MNRAS, 469:S50-S67 (2017). Gicquel et al. Modeling of the outburst on 2015 July 29 observed with OSIRIS cam­eras in the Southern hemisphere of comet 67P/Churyumov-Gerasimenko. MNRAS, 469:S178-S185 (2017). Masoumzadeh et al. 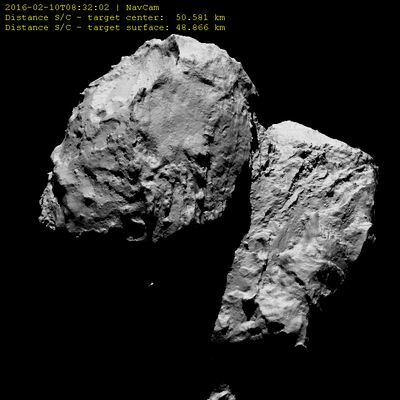 Opposition effect on comet 67P/Churyumov-Gerasimenko using Rosetta-OSIRIS images. A&A, 599:A11 (2017). Oklay et al. Long-term survival of surface water ice on comet 67P. MNRAS, 469:S582-S597 (2017). Pajola et al. The pristine interior of comet 67P revealed by the combined Aswan outburst and cliff collapse. Nature Astronomy, 1:0092 (2017). Vincent et al. Constraints on cometary surface evolution derived from a statistical analysis of 67P's topography, MNRAS, (2017). Barucci et al. Detection of exposed H2O ice on the nucleus of comet 67P as observed by Rosetta OSIRIS and VIRTIS instruments. A&A, 595:A102 (2016). Oklay et al. Variegation of comet 67P/Churyumov-Gerasimenko in regions showing activity. A&A, 586:A80 (2016). Oklay et al. Comparative study of water ice exposures on cometary nuclei using multi spectral imaging data. MNRAS, 462:S394-S414 (2016). Vincent et al. Are fractured cliffs the source of cometary dust jets? Insights from OSIRIS/Rosetta at 67P. A&A, 587:A14 (2016). Vincent et al. Summer fireworks on comet 67P. MNRAS, 462:S184-S194 (2016). Masoumzadeh et al. Photometric analysis of Asteroid (21) Lutetia from Rosetta-OSIRIS images. Icarus, 257:239-250 (2015). Vincent et al. Large heterogeneities in comet 67P as revealed by active pits from sinkhole collapse. Nature, 523:63-66 (2015). Vincent et al. 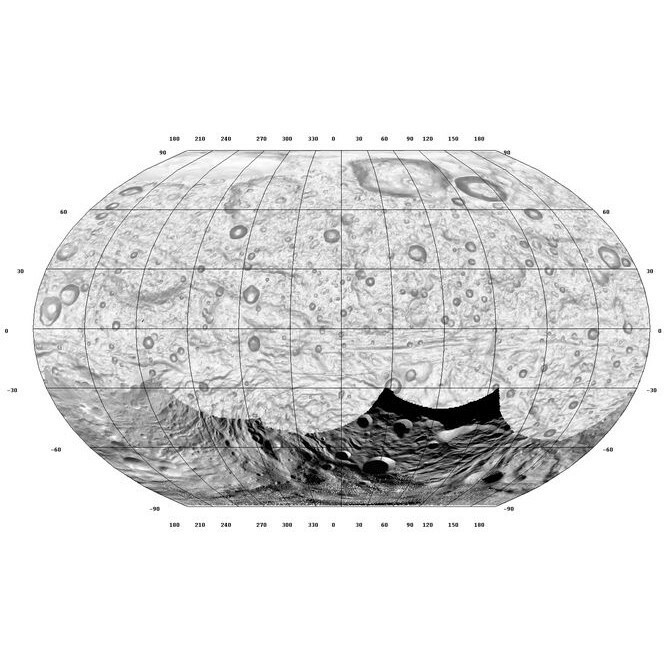 Crater depth-to-diameter distribution and surface properties of (4) Vesta. PSS, 103:57-65 (2014). Vincent et al. Physical properties of craters on asteroid (21) Lutetia. PSS, 66:79-86 (2012).